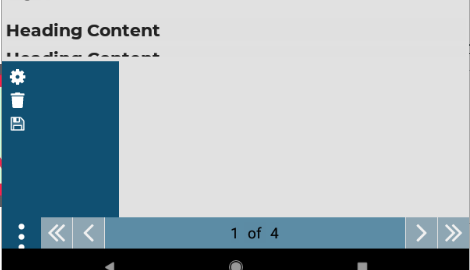 I have a menu button that I want to show or hide a menu like in the following picture but I don't want the red area showing. I would like to be able to see any text that could be behind the red. That's what I tried at first and it hides the text behind it still. I changed it to red to make it visible. Had a very similar requirement recently, used Rg.Plugins to have a nice animated menu that slides in from a bottom toolbar, it's worth investigating. You can do a lot with that plugin. 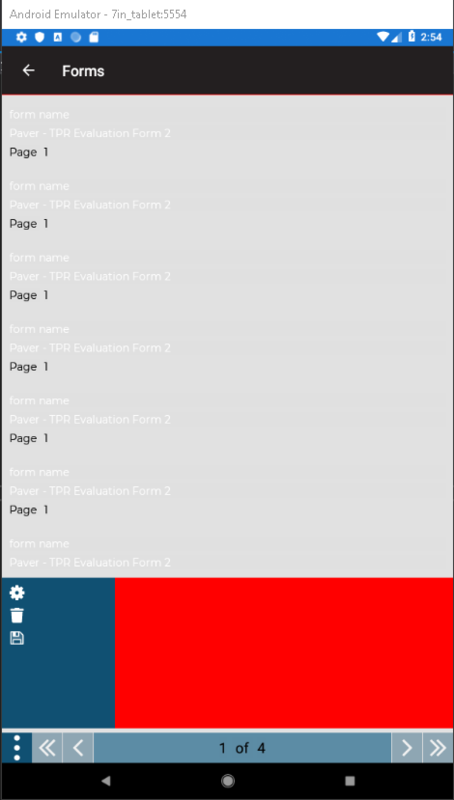 The XAML above is only part of the XAML of the page, so I cannot be definitive as to whether anything more is required, but I would assume that the BackgroundColor="Transparent" is required for more than just where the "Red" is shown above. Set Transparent for the StackLayout as well for a start and see what you get then. @JohnHardman I went through and made everything I could transparent. The text from the sibling StackLoayout is still hidden. I may end up using Rg.Plugins but it seems a little excessive. Here is the current full xaml (without all the duplicated labels). Maybe something in my xaml needs to use an absolute layout.